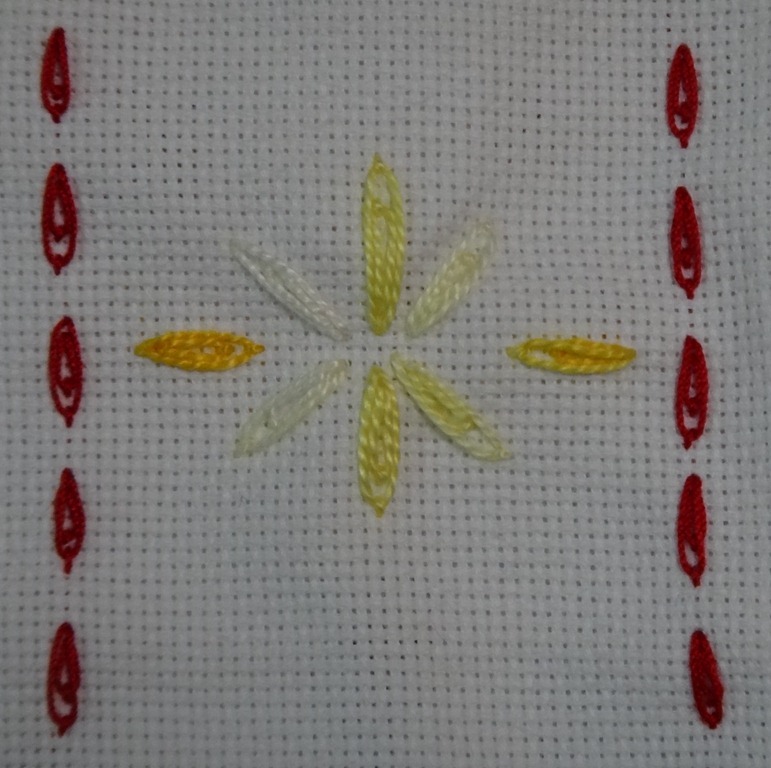 The second week of December the stitch for Take A Stitch Tuesday was called by three names, Berry Stitch, Double lazy daisy stitch or Double detached chain stitch. 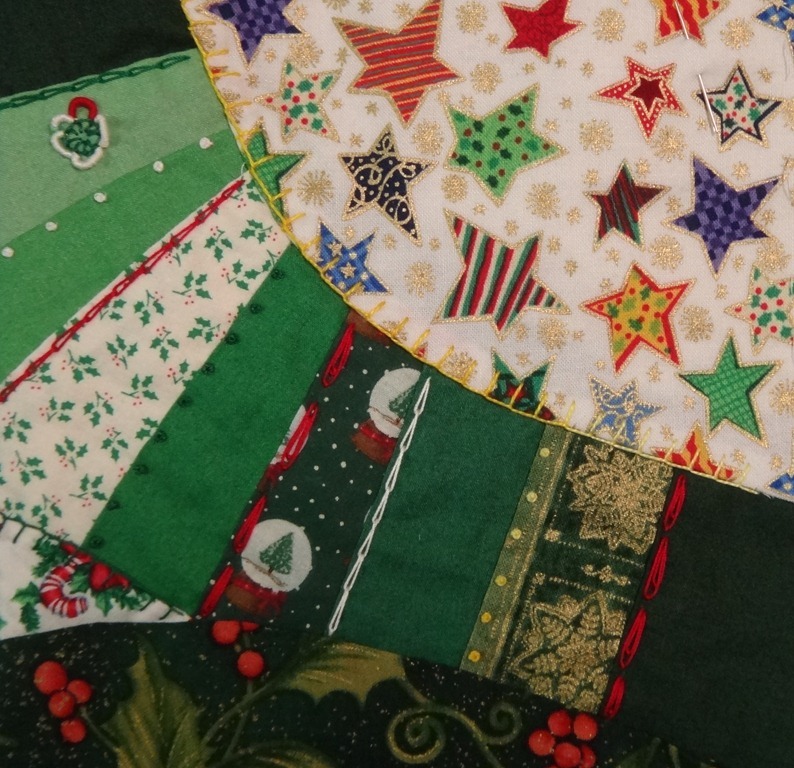 For the second week of my December Crazy Quilt Journal Project I used the Double detached chain stitch as well as Chain stitch, French Knot, and Buttonhole stitch. 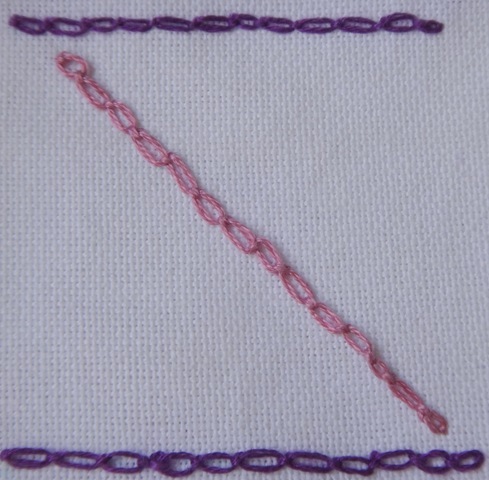 This weeks stitch for Take A Stitch Tuesday http://pintangle.com/ was the Cable Chain stitch. 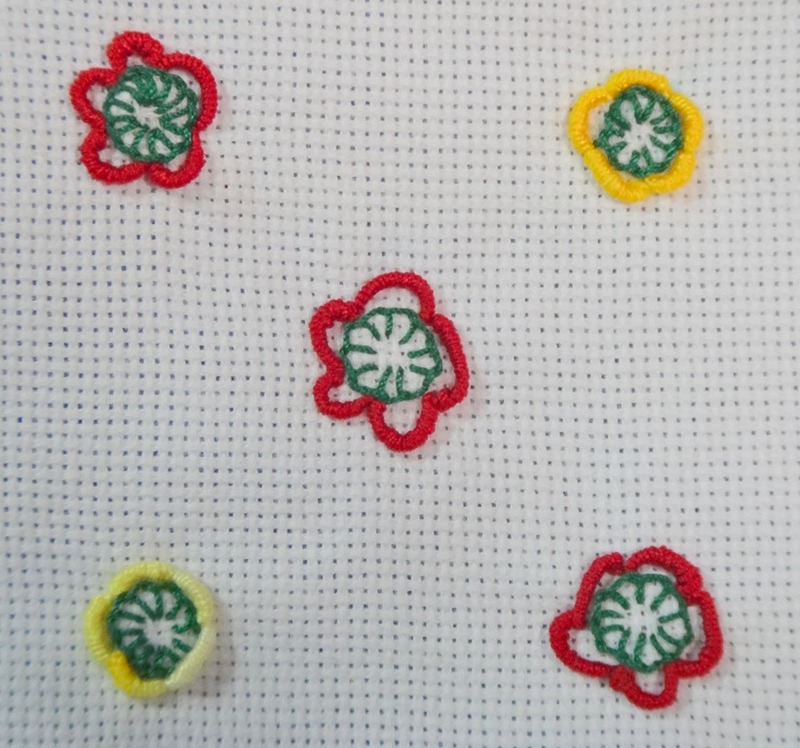 I found that if I made a mistake I wasn’t able to back up and correct it….so had to be very careful as I did the stitch. On the third week of my Crazy Quilt Journal Project block for June http://pintangle.com/ I used the Cable Chain stitch as well as chain stitch and running stitch. It also has some silver rick rack and I tatted a purple butterfly to add as well.